Home > Blog > Web Team > Get Grilling With Our Free Diabetes-Friendly Recipes! Get Grilling With Our Free Diabetes-Friendly Recipes! Summer is here, and what better way to enjoy the outdoors than with our healthy, delicious recipes for the grill. Download our free 12-page cookbook featuring Diabetic Cooking’s favorite summer fare, including Grilled Pork Fajitas with Mango and Salsa Verde, Beef and Pepper Kabobs, Grilled Stone Fruit Salad, and more! 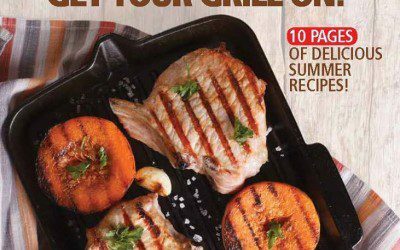 Don’t delay — download your free grill guide today!